Standard deviation is defined as the square root of the arithmetic mean of the squares of the deviation of the values taken from the mean. It is denoted by small Greek letter read as ''sigma''. When sum of square deviation is divided by (n-1) then it is the sample standard deviation. Algebraic signs of deviations (+/-) ignored while calculation mean deviation whereas in the calculation of standard deviation signs of deviations are not ignored i.e. they are taken into account . Mean deviation can be computed either from mean , median or mode. 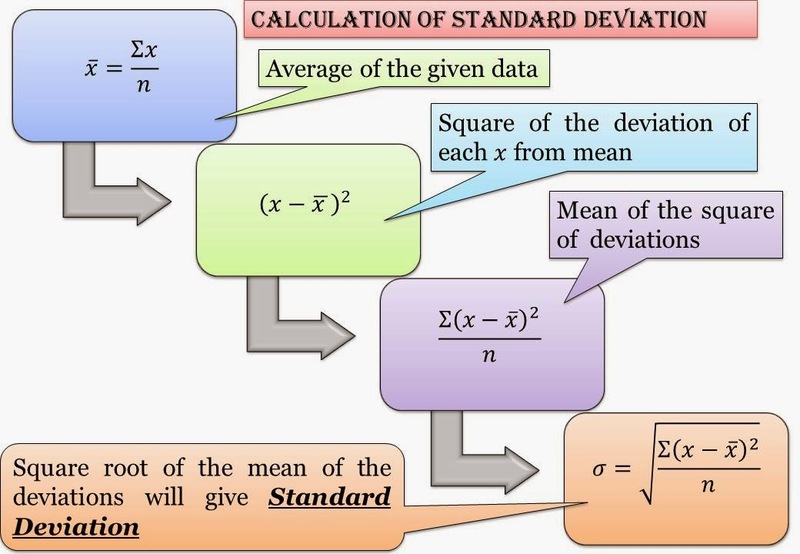 The standard deviation, on the other hand , always computed from the mean because the sum of the squares of the deviations taken from the mean is minimum.